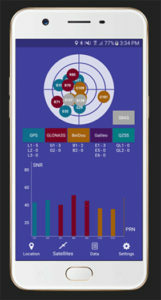 Global GNSS, a subsidiary of Polosoft Technologies, has launched a new mobile application named GNSS Surveyor, which is designed for the geospatial industry. 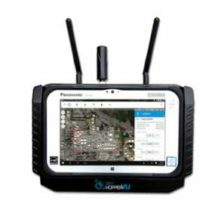 The application GNSS Surveyor provides location information and quality position data in real-time with sub-meter to centimeter accuracy. It needs to be connected to any external GNSS receiver via Bluetooth. A one-touch configured command to communicate directly with the GNSS Bluetooth device. Location information and quality of the position data in real-time with centimeter accuracy. GPS data such as position, height, satellites and velocity. Constellation information for GPS, GLONASS, Galileo, BeiDou, QZSS and SBAS satellites in the orbit. Real-time kinematic (RTK) correction data can be forwarded to a high-accuracy external device. The internal NTRIP client loads the RTCM data from the internet. With GNSS Surveyor, location information is collected as latitude and longitude, altitude, speed or pace, bearing and UTC time. 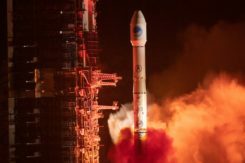 GNSS precision includes global coverage, centimeter-level accuracy, fast time to first fix, multi-constellation and multi-band, and highest security, the company said. 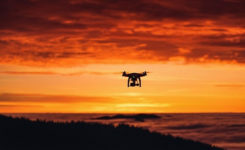 Navigation uses include ground robotics navigation, lane-level navigation, heavy machine navigation, industrial navigation and tracking and commercial UAV. GNSS Surveyor can be downloaded from the app store.